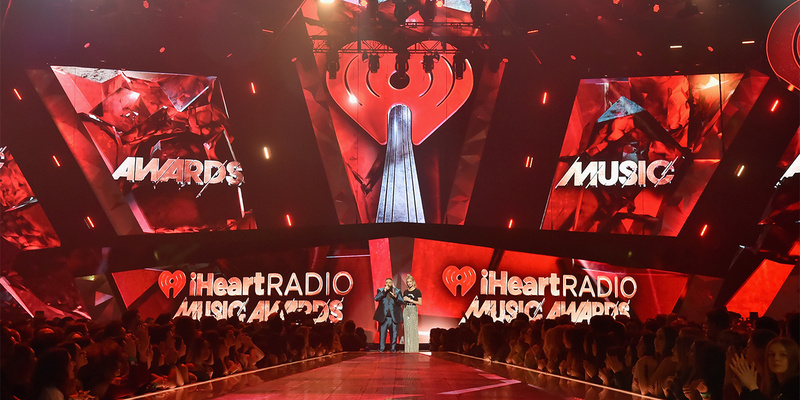 IHeartRadio hosted its annual music awards on Sunday just days before declaring bankruptcy. Exactly a year ago today, iHeartMedia executives were at an event in New York, where they pitched media buyers on the audio conglomerate’s latest products and services for radio stations and podcasts in hopes of winning over more advertising dollar. But now, it’s filing for bankruptcy. The parent company of the nation’s largest radio network has filed for Chapter 11 bankruptcy protection, a move that officials say will help relieve longstanding financial obligations. The deal with creditors, filed with the Securities Exchange Commission on Wednesday, will restructure more than $10 billion, cutting in half the $20 billion in debt held by the company. The news isn’t that much of a surprise, since it’s mentioned in previous SEC filings that it was struggling to pay down its debts, leaving investors to wonder whether bankruptcy was on the horizon. In a statement announcing the news, iHeartMedia CEO Bob Pittman called the agreement a “significant accomplishment” in addressing the $20 billion in debt that he says has “burdened” the company. Some iHeartMedia properties including Clear Channel Outdoor were not included in bankruptcy proceedings. “Achieving a capital structure that finally matches our impressive operating business will further enhance iHeartMedia’s position as America’s No. 1 audio company,” he said. Officials say nothing will change for listeners or advertisers on any of iHeart’s nearly 850 radio stations around country. However, the company has not yet announced whether it’ll have a similar SoundFront event as a follow-up to the one it held last March. iHeartMedia isn’t the first radio juggernaut to declare bankruptcy in recent months. In December, Cumulus Media also filed for Chapter 11 protections to reduce $1 billion in debt.